Philip Morgan helps software development shops generate more leads. Unlike other marketers, he uses hyper-specific positioning, education-based content marketing, and marketing automation to make that happen. He’s also the author of The Positioning Manual for Technical Firms. 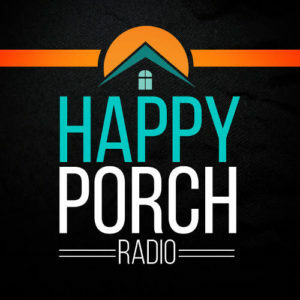 Welcome back to Episode 4 of Happy Porch Radio. In this episode, we look at the challenges of creating recurring revenue. Philip Morgan has literally wrote the book on positioning. He is incredibly generous about sharing his personal story about a failed recurring service, the lessons he learned from that experience, and how those lessons can be applied to our agencies. Why Philip was initially attracted to the idea of recurring revenue. How he decided to start offering his own service. 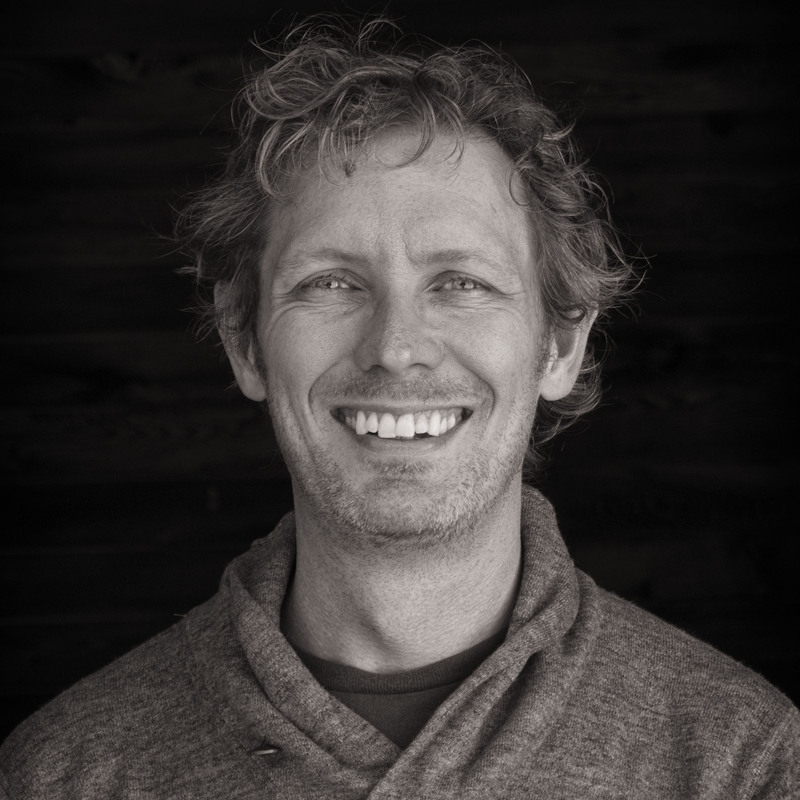 Why the service started to struggle as Philip began to scale a team. How to determine if offering a service like this is the right choice for you. Why communicating frequently with clients is one of the keys to building long term relationships. What positioning is and how you can leverage it to your benefit. Barry O’Kane: Hello, this is Episode Four of Season One. Season One is all about the long haul. We dig deep into long term client relationships, recurring revenue, repeat business, referrals and more. Everything that’s vital to building an agency that not only survives, but grows. In this episode we look at the challenges of creating recurring revenue. Philip Morgan, who literally wrote the book on positioning, is incredibly generous about sharing his personal story of a failed recurring service, the lessons he learned and how that applies to our agencies. I hope you enjoy the conversation as much as I did. Hi and welcome back to Happy Porch Radio. I’m incredibly honoured to have Philip Morgan in here with me. Hi Philip. Barry: Thank you so much for taking the time to join me today. Barry: So, just to start us off, in the incredibly unlikely event that anybody listening hasn’t come across some of your writings, tell us a little bit about yourself. Philip: Well, the internet’s a big place, that’s always possible. So my name is Philip Morgan. I run a small consulting company of one person, that would be me, and I help custom software development shops get more leads. So, I’m very interested in how custom software development shops, and some of these things are applicable outside of that fairly narrow focus, but that’s what I’m squarely focused on. I’m interested in how they can use things like narrow positioning, content marketing, email marketing, those sort of tools are the tools that I specialise in. How can those be used to generate more really high quality leads. So, that’s what I do. I live in California in the States, about an hour north of San Francisco in a very beautiful area with rolling hills and hippies and apple farmers and vineyards and I really like it here. That’s a bit about me and I’m just pleased to be talking with you, Barry. Barry: The overarching topic for this series of episodes is long term relationships, building ongoing relationships of all the different types with new clients and the pluses and minuses of doing that and the challenges of getting there. We were just talking a little bit before we started – you have a story of a service that you personally offered and then changed or stopped offering. Philip: Yeah. Let me see if I can set the timeframe here. This was maybe about two years ago, a little bit more than that. I had sort of rebooted my freelancing business and was out on my own and looking for ways to have recurring revenue. That idea of recurring revenue seemed to me to be just the most desirable thing you could have, right? So, I think we’ve all heard people talk about, like, starting over every month from a cashflow perspective. Like, having each month, you kind of reset the clock or the counter of success and you just having to, you know build up from scratch almost. And that really was very much the situation I was in. Maybe it wasn’t month by month but certainly project by project. You know, when a project was over I felt like I was starting over and a lot of my relationships with clients were sort of one-off project relationships. So, that made me feel like the best thing in the world would be recurring revenue. I was thinking in terms of, ‘What can I do for clients that would provide new value every month and I can just,’ – what I wanted was to, you know, have their credit card on file, not literally on my computer but you know with a service like Stripe or something like that, where they would just agree for me to bill them monthly to do something of value. That’s where I was coming from and what I came up with was a service that I called My Content Sherpa, and it was a done-for-you content marketing service where people would pay–I think the price was set at 1500 dollars a month–and I think I was trying to raise it over time but most people I think were paying about that. And, I would do content marketing for them. I would write articles and, you know, a little bit of the, sort of, administrative work around that. And, I mean, in a nutshell that was the service. It sounds very simple, right? And it sort of was simple. So, you know, they would sign up with my recurring payment provider and they would get charged every month. I would have deliverables that were due, you know, at the end of the month, and I would have a fairly rigid schedule that I needed to be able to adhere to in order to make that stuff happen. So, the first week of the month I would need to do some interviews with people. That would give me about two weeks to either write the article myself or, as I started doing, have subcontractors write the articles. We should probably get into that because that’s where my beautiful little system started breaking down. You know, and then it would give me a week at the end of the month to, to sort of finish things up. Then the whole thing would happen again the next month. That needed to happen for each client. It wasn’t always aligned with the monthly calendar. Sometimes a client would come onboard in the middle of the month and so their cycle was not the same as everybody else’s recurring billing cycle. That was the service and at that price point–you know, bear in mind that I live in a place that’s not one of the cheaper places to live in the world–you know, I needed to scale that by having, let’s say, 10 or 15 clients. I forget what the exact numbers were but somewhere in that–probably 15 clients is what it would have taken for that to be a reasonable business and a reasonably good replacement for doing mid-size or larger one-off projects for clients. You know, for a while, it was, Barry, it was amazing. It was like, you know, I would wake up and look at my phone in the morning and I would see that, you know, money had shown up in my Stripe account and from that perspective it was great (laughter). And, you know, of course, the assumption was that these would be, you know, fairly long term relationships, maybe six months or a year was sort of in my mind, what I thought the norm would be. But scaling a team, like I said, is sort of where the wheels started to come off for me because it was more work than I could do myself–no matter how effective or productive I was or no matter how good a job I did of managing my to-do list. It was more than I could do myself and it was ultimately, it was building and scaling a team where I realised that this is really not for me (laughter). This whole idea in fact of having a team, it just wasn’t for me. Other people do it beautifully. I’ve seen other people take that same idea–I always like to refer people who are interested in that idea to who at the time would have been my competition, I suppose, a service called Audience Ops, run by a guy named Brian Castle. It’s just a fantastic service and Brian is really good at the thing that is necessary to make that kind of thing work, which is building and scaling a team. Eventually I just wound down My Content Sherpa, stopped taking new clients and finished up the ones I had and, you know, made sure that nobody got left out in the cold. And that was my first, sort of experiment with, you know, long term client relationships or trying to create a situation where those relationships had value over the long term. Barry: Like you said at the start there, it’s almost a dream–we have ongoing recurring income, wouldn’t that be wonderful? Philip: I definitely think it’s worth putting more thought into it than I did (laughter). So, my thought process was pretty limited. You know, I want this recurring revenue thing, here’s one model for doing that, I’ll just try that. And, I guess in retrospect I’m glad I did, but it does make me wonder if I could have done more thoughtful or more rigorous about looking at, you know, how that would actually work. Maybe this is a, sort of, transferable lesson. I did do a, sort of, BETA, where I took on a few clients at a lower price and just did the service for a couple of months. And that was very informative because how the service worked on paper and how it worked in real life were two different things. And so, I think that we could say for people who are interested in trying something, you know, adding some kind of recurring or long term ongoing relationship component to their business, it’s likely to be different than what you’re accustomed to. And I think for that reason it’s worth learning in a maybe lower risk way than doing it at full price. And I’m not really saying you should discount your rate. I am saying that I think trying it in the real work is an irreplaceable part of it. So having some sort of pilot programme or some way to try it out before you commit to it fully, it’s worth thinking about. Barry: In the software world, this sort of BETA testing or the lean approach where you try and get something out into the real world to learn from and iterate on. Philip: I think that’s a good model to follow. You have to take into account, I only had myself to convince and learn new habits and create new procedures. I wasn’t even dealing with a team. So, with a team in play I think that that sort of change would become even a bigger project and one that might benefit from some sort of minimum viable service or something like that. Another part of your question of, ‘Is this right or is this something that you should do?’ is just finding the opportunity, like finding a way in which you can create value in an ongoing way. If you’re like me three years ago, you’re used to the idea of these one-off projects. That was the normal way of doing things and, it just seemed like anything else was a pretty big departure from that. I think it’s worth looking at the idea of, ‘Are there ways to create value in an ongoing way that are available to you, with the type of clients you currently have?’ I mean, so, certainly, like ongoing support is one way that people do that or some form of retainer, right? I’m curious if you’ve seen other ways, Barry. I mean I know those are, sort of, the two most common ways– is some sort of retainer, so access to your skills, your experience and some sort of support contract where it’s basically access to your time or your availability to deal with actual issues. Barry: Yeah definitely. And I actually think there’s more ways to skin that cat than are immediately obvious. I’d like to actually come back to the end of your story there, because I think that might be a good way to segue on to talking about specific ways of doing it. So, you decided to wind down the content service, but you still have the original problem of, ‘I want to avoid the feast and famine.’ You’ve written the book, literally, on positioning and getting leads. It would be interesting to see where you then transitioned on to. Philip: So, you’re right, that was not the end of my desire for recurring revenue. I was basically pursuing the virtual agency model. I have some friends online who have used that same model and done just incredibly well with it. The model was not the problem. It was just not the best fit for me. It was too much of a personality mismatch and so forth. You know, I did just one-off projects for awhile and ended up writing a book on the subject of positioning and that created a different opportunity which was more in the training and, you know, education end of providing services. So, after the book had been out for–I forget how long, maybe a year–I had the idea to start a group mentoring programme. That also runs on a subscription basis. So, people who are interested in getting help with the process of changing the market position they’re in for either themself as a freelancer or their small business, they can participate in the programme–and it’s similar, it’s a lower price point–it’s a recurring thing. So, they sign up with my payment provider, they get billed every month for however long they’re in the programme and it’s a different model because I can do it by myself. I don’t need outside help to do it. It scales better because it’s a group thing. So, I have these office hours calls that are part of it and every office hours call has a maximum of five people. So, without, you know, going from, I mean, I can add another office hours call if I want to scale up the number of people who are participating in the programme, or I can scale it down if I get busy with client work. Not just instantly but people come and go. Not everyone is in the programme long term. Some people need short term work and some people sign up and it’s not right for them, so people do come and go. So, it means I can, over time, over three to six months, I can sort of modulate the amount of effort that I’m putting into that and the number of people I’m working with. So, that was a very interesting way to apply that idea of wanting recurring revenue and it does provide some real stability to my business. There’re some months where I don’t need to take on client work because of how that works and how strong of a revenue stream that is. You know, the other thing I wanted to mention is that it’s a little bit like a retainer in that what people are paying me for is not some list of deliverables but access to my experience and, you know, how that’s different than–like a high dollar retainer you might get from a very large company–it’s not individualised, it’s a group thing. Like I’ve got one person that has started to pitch that model to, he does DevOps work and he’s started to pitch that model to his clients. His clients maybe have a couple of junior DevOps people but they could really benefit if they had access to someone with more senior level experience. They don’t want to hire him. They don’t have that level of need. They don’t necessarily have the budget for him to be doing full time consulting every week, but they would benefit from paying him a retainer that’s not the same cost as hiring someone full time, not the same cost as having a consultant onsite full time, and it’s more than they would pay for access to a junior DevOps consultant. So, I have seen people apply that same model in a really interesting way. Where it’s not, they don’t necessarily even call it mentoring, but it’s that same basic way of making your knowledge and skill and experience available to people. Barry: That, I think, is a brilliant example of what I mean by multiple different ways of skinning a cat. And for me, the overarching principle there is still providing value for the client and focusing on that and different ways that that can be delivered, rather than focusing on the outcomes of that process, on getting paid monthly this amount. Philip: It really does seem like there’s some projects, some things where the problem needs an immediate, fast, sort of comprehensive solution. But there seems to be this whole other category of problems that don’t really work that way. They come up and unpredictable times, or they keep coming up again and again, or they could be solved over time in a more effective way than just being solved all at once like a big one-off project. Barry: Yes, absolutely. And that, I think, is a really important point that a lot of things can be solved in one–you know, I can go in and quickly solve this, and then the problem goes away. That I think, is the opportunity, as well as the, sort of almost responsibility, in the industry, that I am as a web professional, I believe quite strongly that if we treat everything as standalone projects where you’re, sort of, under delivering in terms of what we actually can give to that client–so, you know, there are a few months or a few weeks of building website, for example–if that isn’t fitted into the bigger context and timeline that the client is living through, then you’re missing out on an opportunity and missing out on delivering that extra, over and above value. Philip: Yeah, I wonder if that isn’t why there are so many stale websites that clearly have been neglected, right? Barry: To go back to the point about support and retainers… a lot of agencies that I have worked with, and indeed my own agency back in the day, we provided retainers and support agreements but we weren’t very clear on what that meant. So actually we were just creating another little firefighting experience, or something we were struggling to deliver, kind of like you described where you didn’t want to build a team and you find it puts yourself in a position where you have to. Or, in our case, where we were juggling multiple different things and the types of task varied and the time taken varies. You’re sort of trying to get a one-size fits all into a retainer model which doesn’t work. So for me I think what I have seen work really well which is a little bit more down the lines of what you’re describing with the sort of mentoring group you had is: splitting that up and talking about different levels of the value. So, with the mentoring group that you’re describing, we’re not doing, we’re providing the strategy and the advice and the, sort of high level input into solving the problem, which is very different to going in and actually, ‘I will fix this problem for you.’ And all of that can work as retainers on an ongoing basis. I still always come back to the overarching point that it’s about the value in the long term, the long term relationships, rather than, ‘I provide a retainer.’ And I think that some of the people that you had described or some of the folks that you work with must also do that in a way that is more project driven. So, by keep having a long term relationship even if that isn’t underpinned with a retainer, that client keeps coming back and you have a constant ongoing relationship. So, communication was really clustered around the beginning and the end of a project or cycle of, as people will recall I’m primarily a marketer. So, I was building marketing assets. Not completely dissimilar from, you know, building code or software projects where you’re actually building a tangible thing. And so again, the communication was at the beginning and at the end of the project or, you know, the segment of the project. And My Content Sherpa got me the in habit of communicating more frequently with clients. It moved from there to, like, weekly updates, which was a big improvement. And then I started doing, after My Content Sherpa wound down, I started doing, offering my services as billing by the week and doing sort of weekly, content asset development. So you could hire me for a week and we would agree on a scope and, and I would, you know, try to build as much of that scope as I could within the week and when I started doing that I started having daily, very short, you know little stand up style, 15 minute daily meetings with clients. And that was wonderful (laughter). And I really, I continue to try to do that. And it just sort of got–it broke my own bad habit and got me in the habit of communicating more frequently. And something about that, I think–I won’t say it’s a prerequisite for long term relationships with clients–but I think it really helped because now I do start to see that happening, where there’s more repeat work and there’s more of a feeling like, ‘Okay, we’ll probably be working together for awhile.’ Even if we’re just starting with a one-off project. There’ll probably be follow up opportunities and so forth. I’m not saying that I’ve, you know, become the best communicator there is. There’s still plenty of room for improvement but I think there’s a connection there. You know, maybe the folks at home will find that to be true for their own business. That if they start communicating more frequently with clients, they may find, you know, opportunities for ongoing work become more frequent also. Barry: I think also there’s a thing about the type of communication. So, for example, providing website maintenance. So, if you’re providing just maintenance or maybe reactive service, you know, contact me when there’s an issue kind of service, then you might feel that there’s regular contact because these things are happening. You’re updating the technology and reacting to the tickets and questions when they come in. But actually, that, I don’t think is the right type of communication for what you’re talking about in terms of building that level of trust and the ongoing relationship. Then on top of that you need to be having more high level conversations around, ‘Okay, this month, these things have happened, how are things going?’ Or ‘Where is your business going? Where are the things on the horizon that might be causing issues?’ And sort of moving that conversation forward rather than to a purely reactive state. Philip: I agree completely. I think how that’s done depends on the client. Some clients, I think would be very open to something like a health check or–you know how you label it will depend–but I think it actually is important because it sort of communicates an idea, like, ‘Oh, this person is proactively trying to help us prevent problems down the road.’ Or ‘They’re proactively trying to help us look for opportunities to improve,’ but other clients may view that as an imposition or hassle or, so, it really, I think it does depend. But I think you’re absolutely right that you’ve got to find some way to position that regular communication as a value add or as something valuable in and of itself so that you’re not just perceived as, you know, looking for more hours to bill, right? Barry: It’s interesting that you use the word position because the book that you mentioned is about positioning, which, by the way is where I first came across what you’re doing. But I want to ask about positioning in this sense, so, when you’re thinking about or we have an existing service offering, or an existing team doing stuff, usually the problem might be firefighting. So I don’t feel like I’m constantly juggling all these things, how do I get in control of that and stabilise it a bit, whether that’s with some form of retainer agreements or with a little bit less panic between the feast and famine things? In the context of positioning, how do the two things fit together? Philip: I don’t want to make your 30 minutes podcast into two 30 minute podcasts (laughter) all in one! Positioning is very much about how your clients perceive you. So, a lot of it has to do with their level of awareness of what kind of results you can create for them. What kind of value you can deliver. And, you know, once you have a relationship with a client, it’s sort of a double sided thing. On the one hand, they have an understanding of who you are and what you can do for them, or what you have done for them, and their perception of you may be confined to just that. So, maybe you came in on the coattails of some other company that did not do a great job and you did a sort of project rescue and that left a very strong and positive impression but that may only be a subset of your capabilities. What I think I would encourage people to think about from a positioning perspective is marketing to your existing clients to raise their awareness of what you can do, what kind of results you can create. And when I say marketing, I know that people are going to sort of substitute their way of thinking about marketing. Like, well we should have a webpage about that or, you know, we should do this or that. I’m speaking more broadly. I’m saying have a plan for educating your existing clients about what your capabilities are. That plan may be, sort of, okay, every month you need to have a check in meeting with all of our ongoing clients and use that meeting as an opportunity to, you know, tell them about other things we’ve been doing and how those things might create value for them. So, maybe it’s something like that or maybe it’s, you know, monthly email updates just specifically designed for your clients or even more frequently than monthly. So, again, I’m not saying you have to do it in any one way. I’m just saying, you have a plan and identify those clients who may have a limited understanding of what you can do for them and design some campaign to raise their awareness and to basically educate them about your capabilities. You know, you can look at that in one of two ways. You can say, ‘Oh, my clients are busy, I don’t want to interrupt them.’ And if you’re doing that, you’re probably not thinking about ways that you could create value for them just by educating them about your capabilities. So maybe you take some project that went fairly well, and you pull out the lessons learned from it, and you turn that into some piece of educational content. Maybe it’s an invitation only webinar you have for your clients, maybe it’s a white paper that’s just for them. So, implicit in this idea is sort of the idea of creating a sort of insider’s circle for your clients. You know, basically treating them like they’re special and they get things that not everybody gets. Or they get first access. And I think if you bring those ideas together, you can successfully change how your existing clients perceive you. And you can increase your perceived value to them or you can at least make them aware of other services, other capabilities, other skills you have that they could hire you to deploy on their behalf. So again, just to kind of boil it down, you know, positioning really, the heart of that concept, how do prospects and clients perceive your business and how can you alter their perception to be, you know, aligned with the actual value you can deliver. Barry: I really like the phrase there, ‘increasing your perceived value,’ as well as offering the other services and so on, but actually genuinely stepping up that ladder of perceived value. To me I think that’s a really powerful, sort of description of it. Philip: That really is what I think what it’s about. At a certain point your perceived value matches your actual value and that’s almost a challenge or an invitation to increase the actual value that you deliver. So hopefully positioning is something that improves your business over time. Barry: Thank you so much, I wish we had more time because I can geek out on that stuff as I keep saying for hours. I think that’s really powerful concepts and the idea of having multiple different ways of approaching the building long term relationships. Philip: As a parting thought, maybe just a support retainer is the starting point. There is other possibilities that could open from that as a starting point. Barry: Definitely. And actually, that reminds me of something I was thinking as you were describing your retainer process earlier and we were talking about communication, by using a retainer or maintenance retainer or something as you say as a starting point, and using it as a stepping stone for regular communication. Barry: Anyway, thank you so much, Philip. I really appreciate your time this morning. Barry: Just as a finishing point for those listening who want to learn a little bit more about you, where do they go? Philip: They could go to my website, PhilipMorganConsulting.com. Just one ‘l’ in Philip. If they’re interested in this idea of positioning, which is one of the things that I am fanatical about (laughter), and they want to know more about that, they can take an email crash course that I’ve put together on the subject. That’s easy to find. You go to PositioningCrashCourse.com and sign up and you get emails teaching you about positioning. I point people there because I think that’s perhaps the most interesting way to learn more about me. Philip: Your welcome. Have a great day, Barry.